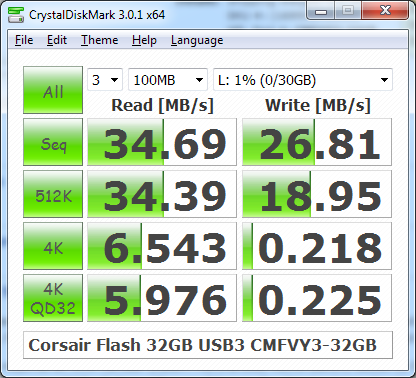 I recently tested the new 32GB Corsair Voyager USB flash drive, which belongs to one of my co-workers. 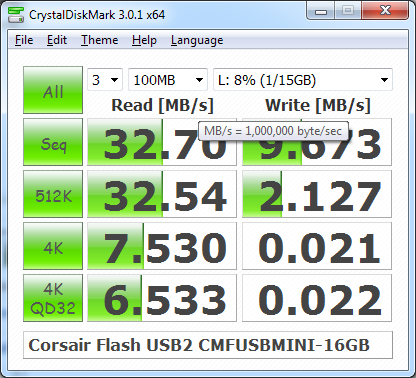 This 32GB USB 3.0 flash stick caught me by surprise, as random speeds were NOT quite impressive. Perhaps, USB2 is the bottleneck. 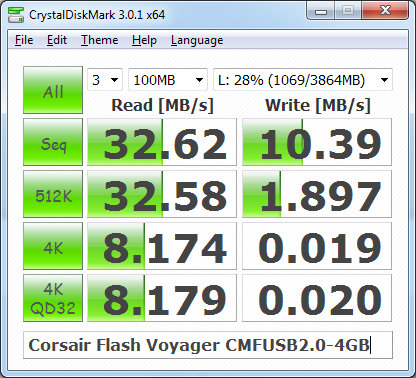 Then I also tested two of my old flash drives, and that 5 year old 4GB Voyager of mine beats the new one on reads. 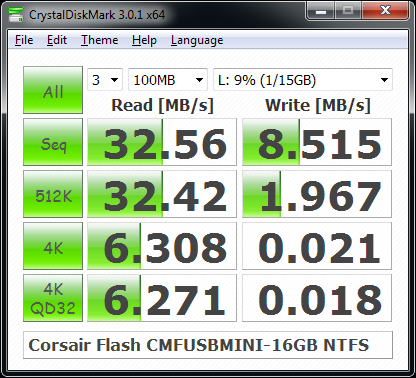 16GB mini was benchmarked with both NTFS and FAT32, just to make sure I am not missing anything. Default is FAT32, and as you can see, NTFS introduces a little overhead, so performance is slightly worse.